drew Amy to her lap, preparing to enjoy the happiest hour of her busy day. The girls flew about, trying to make things comfortable, each in her own way. However, after battling a non-stop round of the flu hitting our household this past week, it is rather comforting to have a few quiet cozy moments of recovery. A chilling Arctic wind has blown in and most of the land around us is silent and somewhat frozen in a peaceful calm, the kind of serenity only a bone-chilling January day can bring. The mid afternoon soon is bright and promising, dancing on the sparkling wind-swept snowbanks, however if one steps outside, your skin will soon fell the bite of the dead of winter. With weather like this, those can stay home, do, and those who cannot, bundle up and just bear the cold. Watching my dear husband drive to work this morning in the biting cold winds made me thankful for a hard working husband who never fails to show up for work – despite snow storms or freezing temperatures. 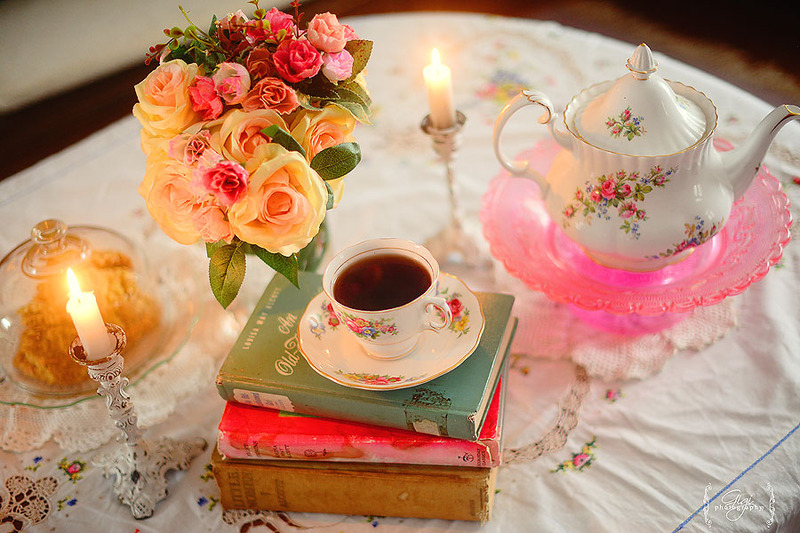 But for these blissful quiet moments, I will enjoy my cup of tea and a few chapters of Little Women. Cream together butter, sugars. Beat in eggs one at a time, then stir in vanilla. Combine flour and dry goods, stirring into wet mixture. Mix in oats last. Cover and child for about an hour. Preheat oven to 350. Roll your cookie dough into balls and place two inches apart on cookie sheets. Bake for 8-10 minutes. Cool on baking sheets for a bit before transferring to cooling racks. In the dead of winter, when days are long and short at the same time, little ones are sick and husbands are busy at work, it is fairly easy to slip into a woe-is-me- attitude. 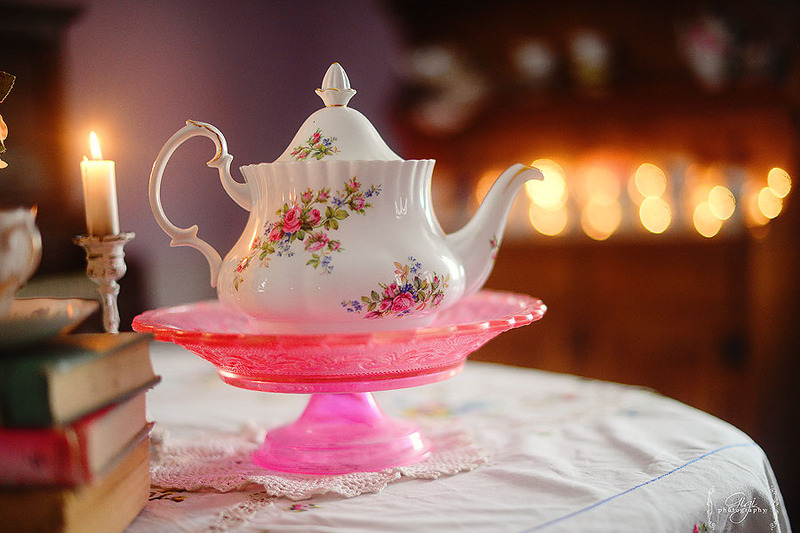 Perhaps that is the time when hot tea and a small rest is most required – to refresh one’s spirit and give yourself a breath of fresh air … many suffer from depression in the winter here in the north … the dark days and cold winters feel discouraging to many. 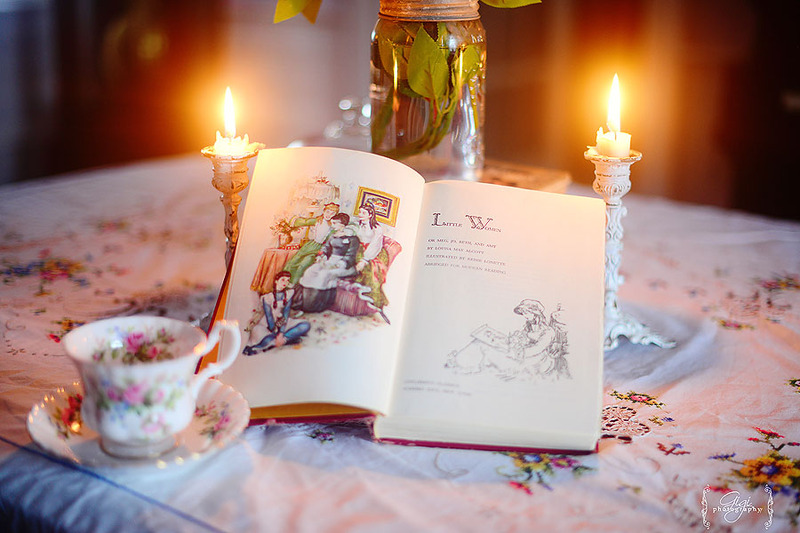 I enjoy winter, I love cozy days at home … and if I feel my spirits start to darken, there is always a pot of tea to drink or a project that needs attention, a room to clean or paint or a cake to bake. Bethany – Mmmmm. I love a good soft and chewy oatmeal cookie. I’ll have to try out this recipe! Gigi – Thank you, Jean! So nice to “meet” you! Jean | Delightful Repast – Gigi, I came over from your comment on Elsie’s blog. What a beautiful post! The perfect day. 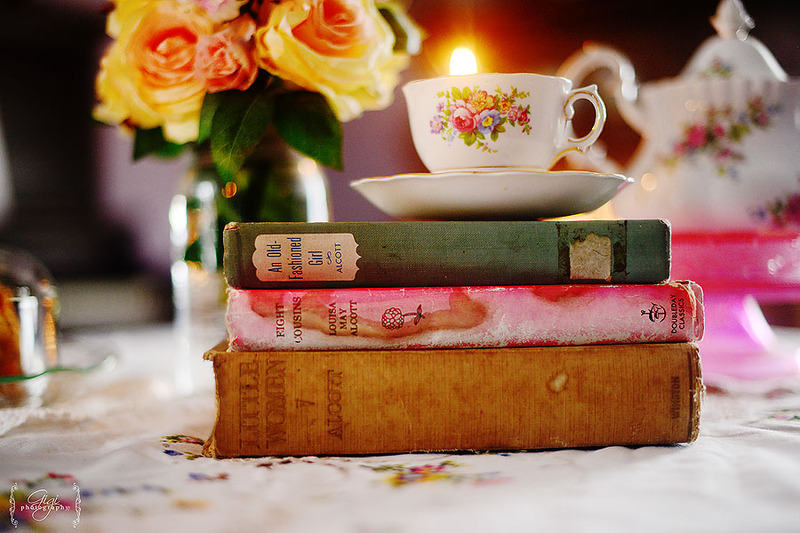 Hunkered down at home on a cold winter’s day, drinking tea and reading good books after lessons. Your wonderful photos drew me right in. Gigi – Thank you, Anne, for taking the time to leave an encouraging comment. It is always a pleasure to meet those who read. I pray you have a peaceful day. Anne – Thank you – I really needed this today! I don’t usually comment but I do stop by your site because of your beautiful pictures and words. Today you really warmed my heart and I wanted to thank you for taking time to share these words. Thank you and have a blessed day. Monica – I love all of the pink, friend. That pink glassware is gorgeous. So stunning! 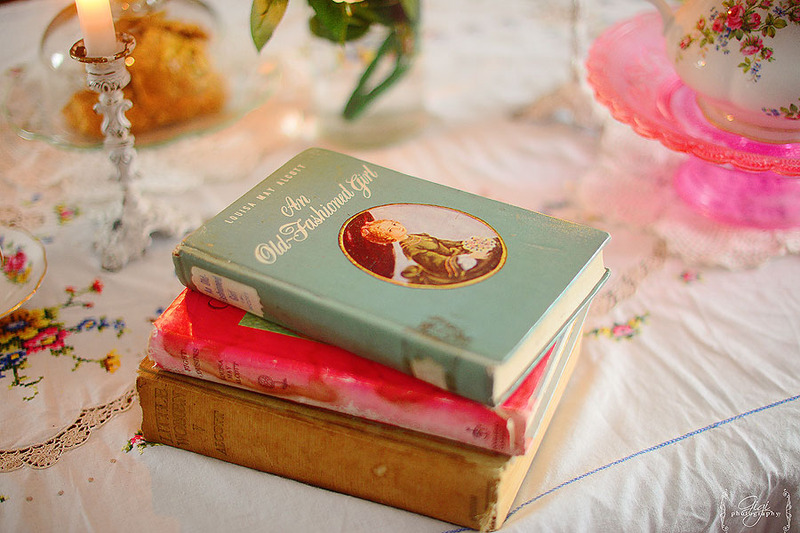 I had never seen the book, “Old Fashioned Girl” so I looked it up. Of course, Erin had heard of it. 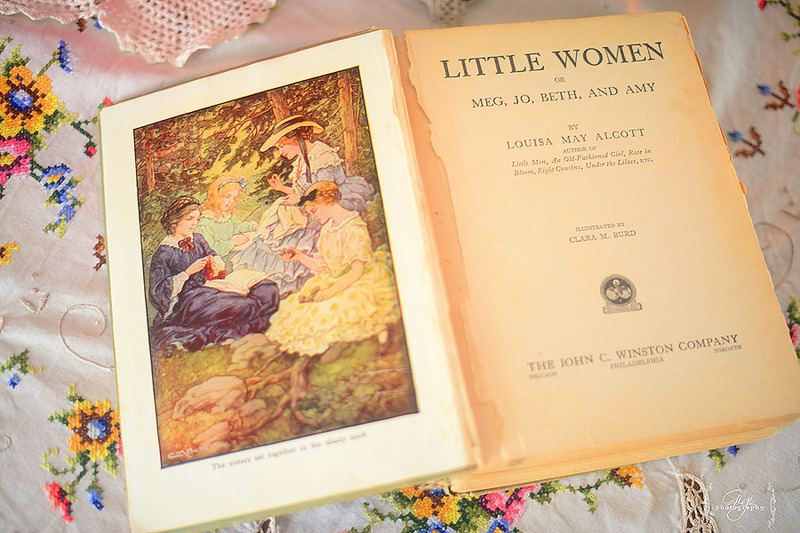 We finished the PBS Little Women series and it was surprisingly good. We really enjoyed it. It seemed really true to the book. Your tablescape is so lovely. Have a great evening. 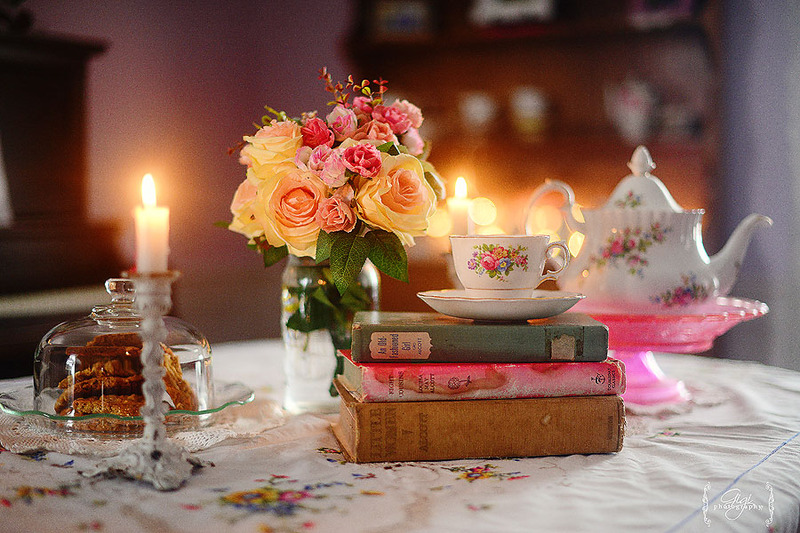 Debby in Kansas, USA – Such a beautiful and cozy table. And that pink dish! My eyes locked on that immediately. Wow! We had a very cold and bitter day. I was shivering when I got home from church this morning. I changed clothes & immediately wrapped myself in a blanket, & curled up on the sofa. It took me a solid 2 hrs. to feel normal again. Cooking dinner over the warm stove will feel extra wonderful tonight!! I will be so grateful when my husband gets home. The icy roads scare me. Kimberly – I love the quietness of winter. It forces me to slow down and relax. And also allows time for all the small indoor projects I seem to put off the rest of the year. Love reading your blog, you write so beautifully. Our Home of Many Blessings – Such a beautiful table!My daughter is going to try those cookies today,they look fabulous!Thanks for sharing! Gigi – Teresa, you have just listed all the things I like to do in the winter, as well (not to mention baking, cooking, etc.). It’s a great time to work inside the home. I love this season. 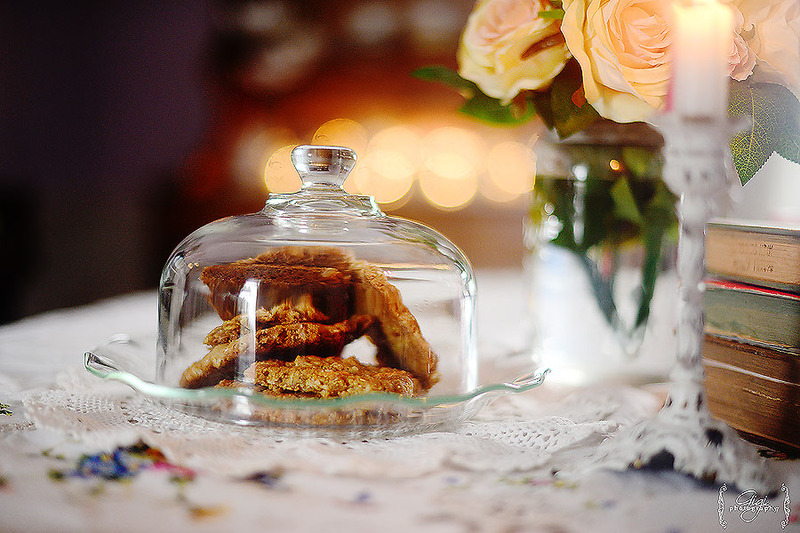 Teresa@ Simply Farmhouse – I love how you romance your home with beautiful flowers, cloths, candles, and tea pots. I love the cozy nights that winter brings. In the winter I like to freshen up painting rooms or trim work, read books, drink tea, sketch, write chapter books, organize the home and purge. Thank you for another post that shares your heart and home.